Bland Simpson, author and Coastal Federation board member, stopped by our Holiday Appreciation Party with his wife, Ann, to read from and sign copies of their most recent book, Little Rivers and Waterway Tales. The book includes tales of coastal North Carolina’s water-loving land, revealing how its creeks, streams, and rivers shape the region’s geography as well as its culture. We got a chance to sit down with Bland to find out more about what inspires his writing and his work with the Coastal Federation. 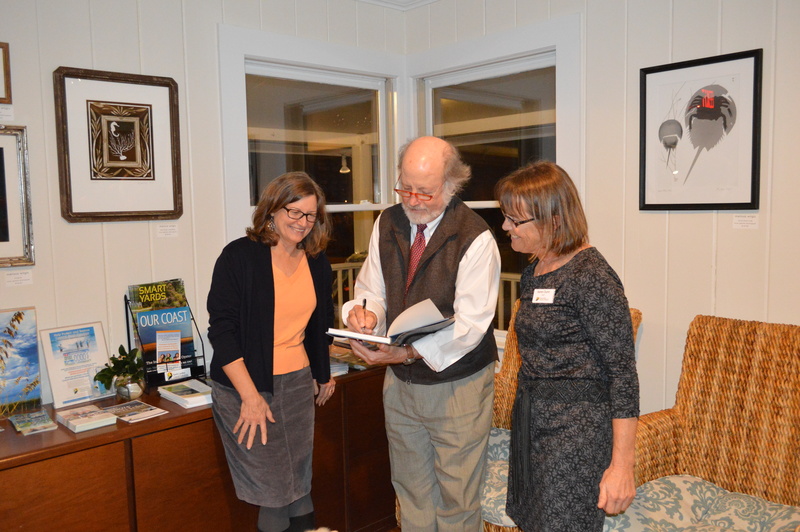 When and why did you first become involved with the Coastal Federation? In the spring of 1986, when Todd Miller invited Jim Wann, Don Dixon and me to bring our then-new musical King Mackerel down to Carteret County and perform it for the Coastal Federation’s membership at the annual meeting in June. We did this, to an enthusiastic response, and we’ve been staunch supporters of them ever since. How has your experience with the Coastal Federation influenced your writing? The work of the Coastal Federation constantly teaches me more and more about the massive, highly interconnected eastern Carolina estuaries, as well as how “citizens working together for a healthy coast” can help protect them, and all their tributaries, in ways both great and small. I gain tremendous information and inspiration from all this, which is materially and spiritually helpful every time I sit down to write about the coast and coastal plain. What is your favorite story in Little Rivers and Waterway Tales? Too hard to choose! One of my favorites, of course, is the story of the move over water of the Palmgren-O’Quinn House, and its subsequent transformation into the Stanback Coastal Education Center and regional Coastal Federation headquarters. Why was it important for you to be at the appreciation party to help celebrate our volunteers? 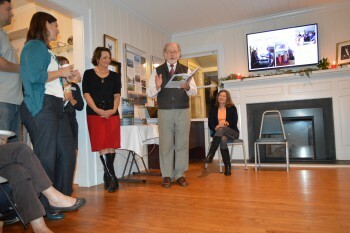 Ann and I wanted to be part of the crowd and to use our brand new book both to celebrate and to bear witness to what has been accomplished right here in Wrightsville Beach — to help tell the story of how a beloved family beach house, imbued with all that love and friendship, rather than being torn down has instead been brought forward and now serves as a gathering and teaching place for devoted stewards of the Carolina coast. It is a beacon for those of us who want to make our many waters living models to the world. Bland is a professor of English and creative writing at the University of North Carolina-Chapel Hill and the author of several books. He is also a member of the musical group Coastal Cohorts and enjoys words and music and small boats. He is a member of the American Society of Composers, Authors and Publishers; the N.C. Coastal Land Trust; N.C. Maritime Museum; Core Sound Waterfowl Museum and History Center; the N.C. 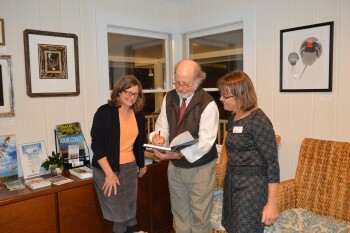 Nature Conservancy; and the N.C. Writer’s Conference.